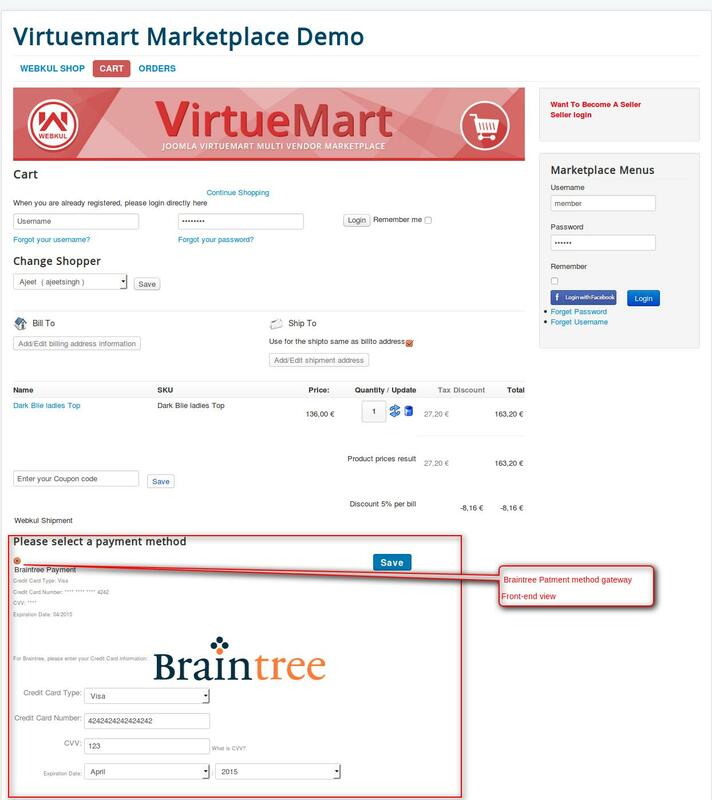 Braintree Payment Gateway for Virtuemart: This Plugin work with checkout for payment in Joomla Virtuemart. It will work live as well as Debugging( Sandbox ) mode. 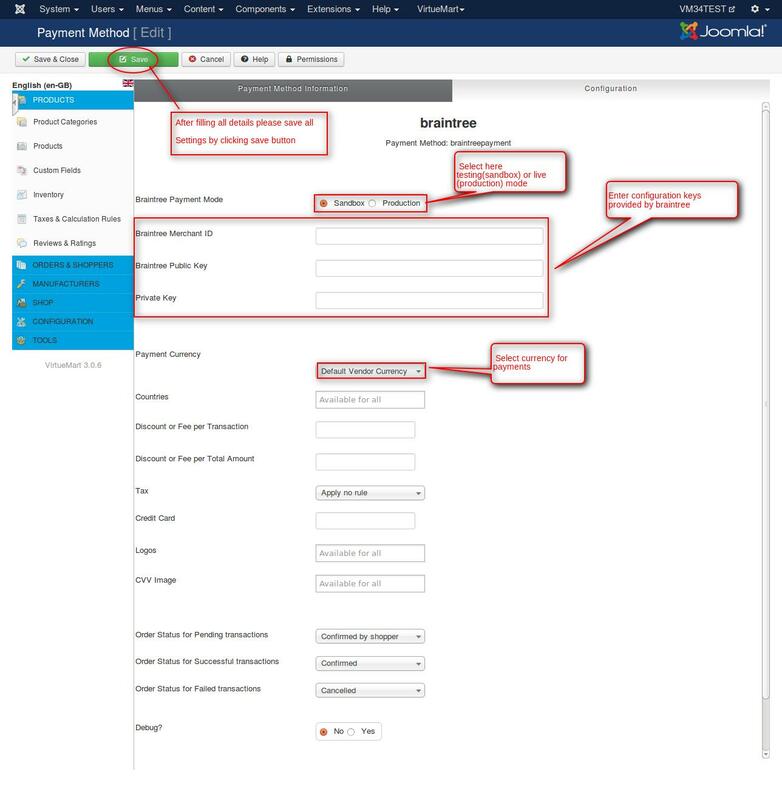 No doubt Braintree is most easy and most scalable payment gateway of the modern time. When you’ll download the Braintree Payment Gateway for Virtuemart extension you’ll get a zip files (braintreepayment.zip) use it. Contact us http://webkul.com/ticket if you have any trouble in downloading the extension.